I first shared my recipe for Puerto Rican Coquito (aka our traditional coconut "eggnog") two years ago, and it's since become one of the most popular recipes on this blog. I love that because it's also probably one of the recipes that means the most to me since it's something that's been a part of my life for as long as I can remember. If you haven't tried it yet, I definitely urge you to give it a shot--especially if you love coconut or rum (or both!). It's rich and creamy, and absolutely perfect for the holidays. But this year I'm sharing a couple fun coquito flavor variations that I recently started making! 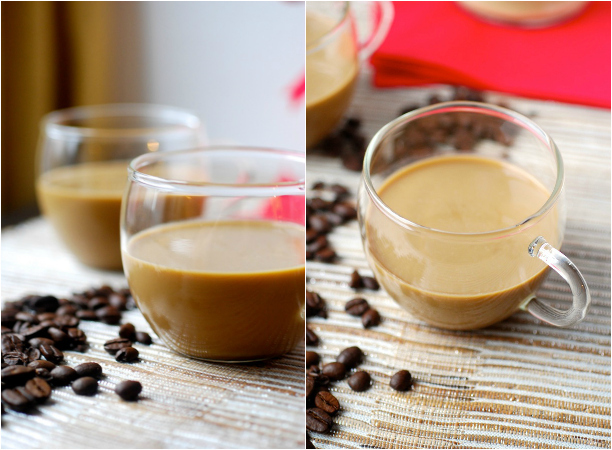 Today we're starting off with my recipe for Coffee Coquito--it's every bit as delicious as the original, but with an irresistible coffee twist. If you're a fan of coffee-flavored treats (think coffee ice cream, milk shakes, or even a totally decadent Frapuccino)--then I think you'll love this. 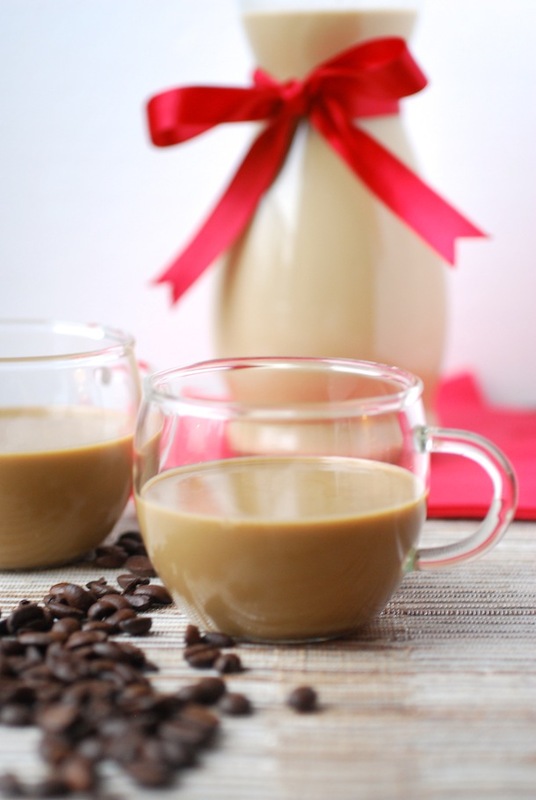 This easy coffee coquito recipe starts off with the same ingredients as the regular coquito, but with the addition of a cup of strongly-brewed black coffee that's been chilled. You can use regular coffee, or try a flavored variety (I think either coconut or vanilla coffee would be perfect in this!) and just brew it a little stronger than usual. Want to try other coquito flavors? 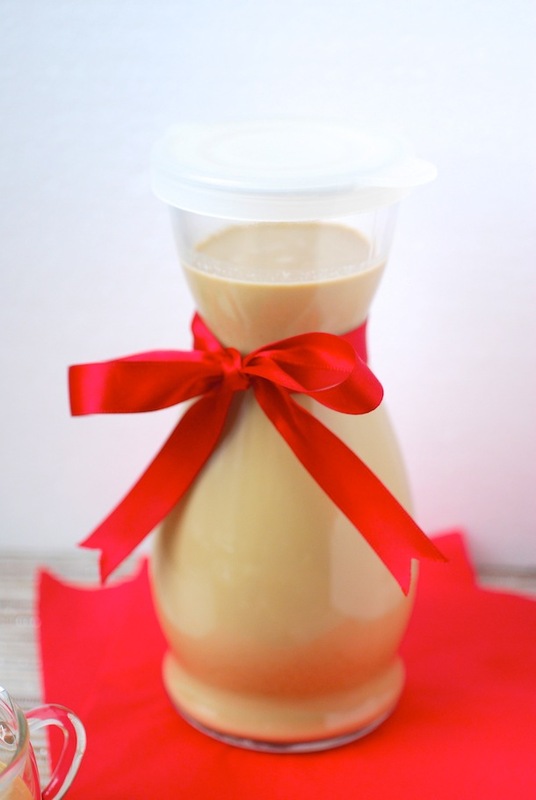 Click here for my basic Puerto Rican Coquito Recipe and my Chocolate Coquito Recipe. Combine evaporated milk, condensed milk, and coconut cream in a blender and puree until smooth. 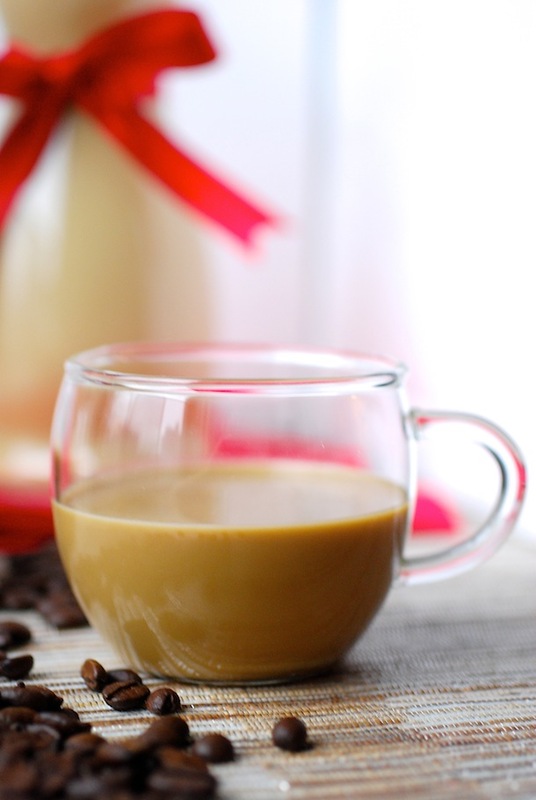 Pour into a large pitcher or pot, and add the coffee, rum, and vanilla, and whisk well until evenly combined. Want to make the coffee flavor even stronger? Add 1-2 tablespoons of instant espresso powder as this point, and whisk in. Skip it if you prefer a lighter flavor. Transfer into bottles (I usually use the empty rum bottles), add the cinnamon sticks, and chill in the refrigerator for at least 2 hours or until very cold. Serve straight in small glasses (you can garnish with a bit of cinnamon, if desired) or on the rocks in larger glasses. This recipe can be made a few days in advance and will keep well in the fridge for about 1 week to 10 days. Just be sure to shake the glass vigorously before serving! ***Want to make it a little bit less strong? To cut the rum, replace the desired amount of rum with equal parts ice cold coconut or whole milk. ***For a non-alcoholic or virgin coquito, cut out the rum, and replace it with one cup ice cold coconut or whole milk and one cup ice cold filtered water.